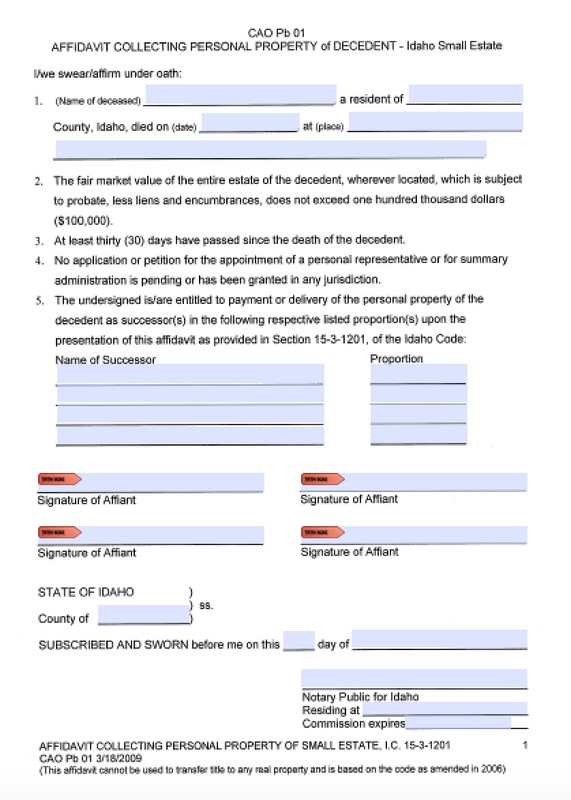 An affidavit of heirship allows successors to avoid probate court and claim a decedent’s personal property, which includes bank accounts, last paychecks, heirlooms, and other “real” property. 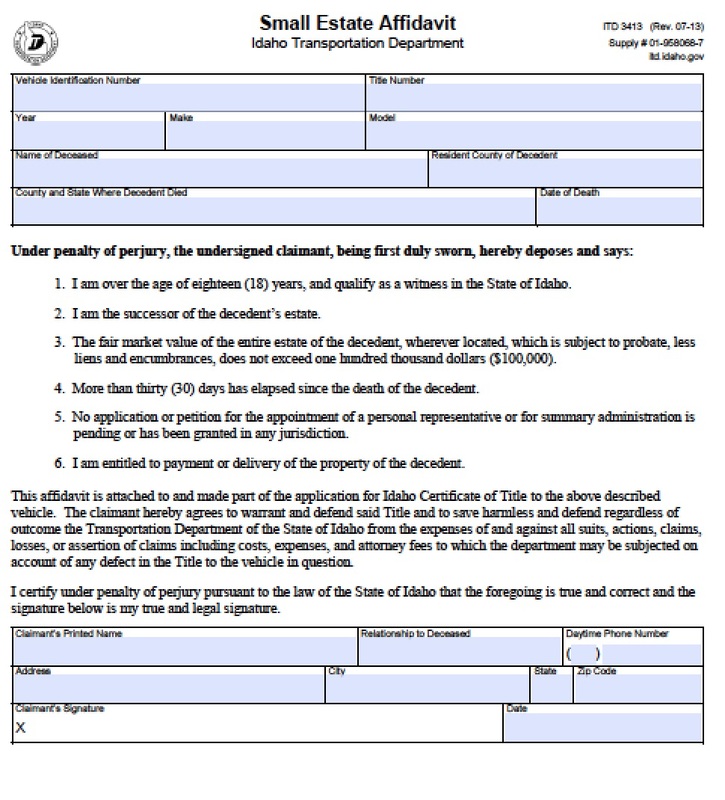 In Idaho, the affidavit of heirship does not include real estate or vehicles, and the “personal” estate must value less than $100,000. 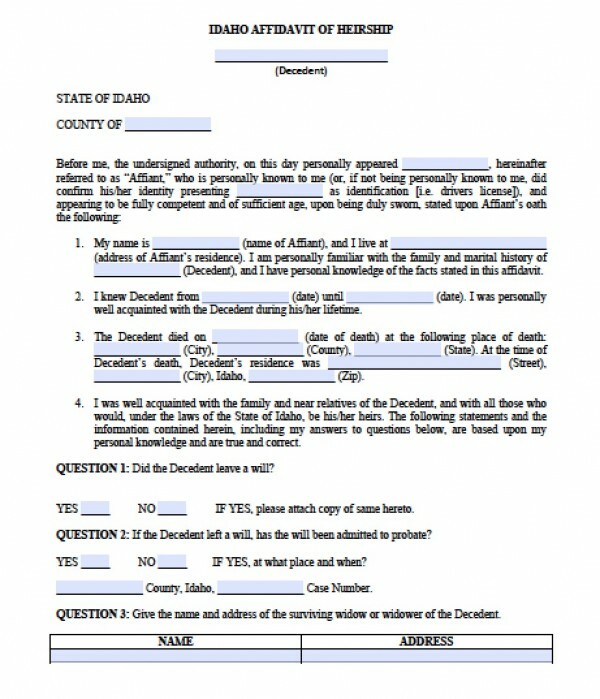 If a decedent does not have a last will and testament, then consider using Idaho’s statute 15-3-1201 to file an affidavit of heirship.